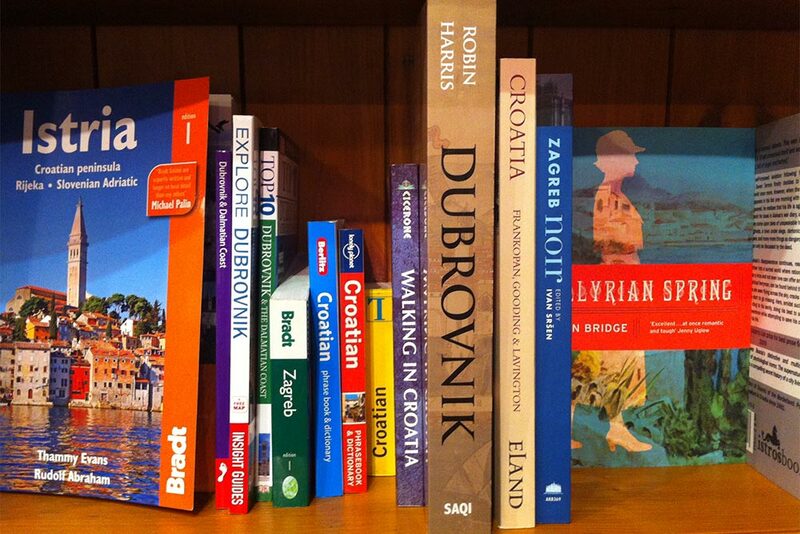 I think that the best travel guide for Croatia is reading novels set in Croatia. Most of my readers think that too. 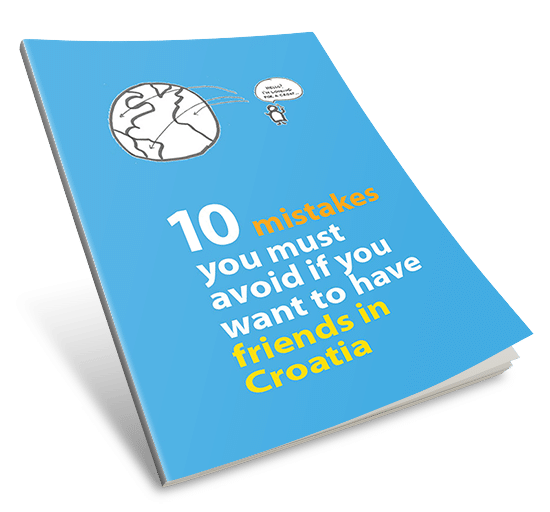 And they often ask me: ‘what should I read before travelling to Croatia’? You know what? Thank you for this question. Your curiosity about Croatian literature makes my heart leap with joy. It’s not only that you seek to uncover a place unknown to you, but you ask to do it through books! In an increasingly digitalised world – this is gold. And in a world that is increasingly reduced to a bulleted list of tourist attractions, reading translated literature seems exceptional. And I mean exceptional as both rare and excellent. A common understanding is that literature offers fiction while travel guides provide you with facts. If you put it like this, no traveller would seek out foreign literature in translation. So why are there countless reviews on Amazon by people who read foreign writers just because they want a deeper understanding of a place they are about to visit? And why, for example, is Dostoyevsky’s short autobiographical novel The Gambler core reading for every academic researcher interested in gambling studies? 1) People love reading stories. Serviceable information in travel guides are not stories. 2) People love personal accounts and perspectives. Guidebook travel information strives to be accurate but not personal. 3) People connect to that which sounds real, even if it sometimes appears dark, troubled or chaotic. Tourist information is only postcard-perfect. 4) People are more interested in other people than museums, buildings or empty landscapes. Literature best reflects local values and cultural customs. 5) When people are told what kind of experience to look for in a foreign place, they want to know why. For example, when you learn that Zagreb coffee culture is one of the city’s highlights, having a cup is not enough. You’ll want to know why everyone in Zagreb seems to be lingering at café terraces, even during work times. Croatian authors have the best insights. So let me quench your desire for Croatian literature before you set off on your journey. Most of you will have heard of the Nobel Prize winner Ivo Andrić and his classic The Bridge Over The Drina. Or the popular travelogue Black Lamb And Grey Falcon by Rebecca West. My Croatia essential reading list is a bit different. It includes both fiction and non-fiction available in the English translation. 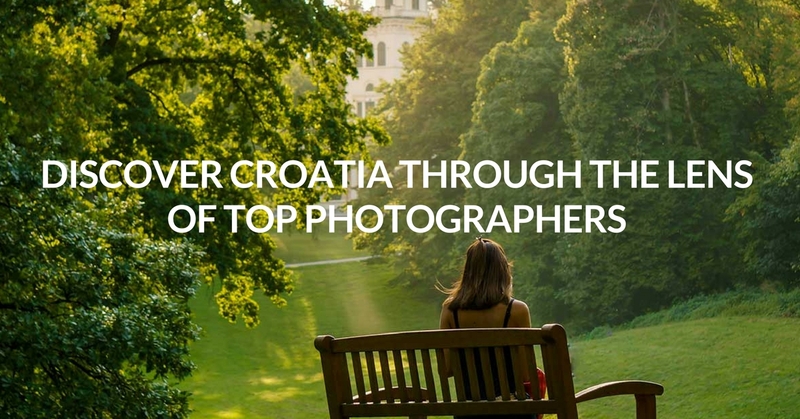 I chose the titles published in the last 25 years (with a couple of exceptions) that paint a rich and engaging picture of Zagreb and Croatia. Some books focus more on the early 1990s years and the topics of war and post-socialist transitions. Others are very recent, portraying the Croatia that you will meet if you go there now. I find both perspectives valuable, especially in order to see how much and how fast the country is changing. Scroll down to the end of the list for a special bonus. I am giving away a short story of mine in English. I thought it was time you saw that side of me too! Zagreb Noir is a collection of crime stories written by Croatian authors and each set in a different Zagreb neighbourhood. The book is part of a larger noir series that the US publisher Akashic Books launched in 2004 with Brooklyn Noir. As the title suggests, the stories reveal a darker side of Zagreb, its underbelly. 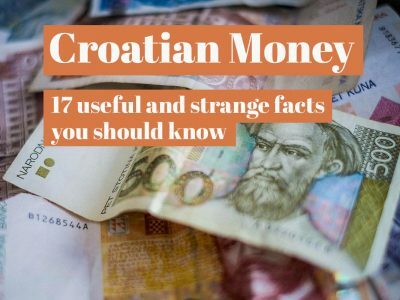 And yet, many readers find this type of fiction more revealing than a classic Croatia travel book. 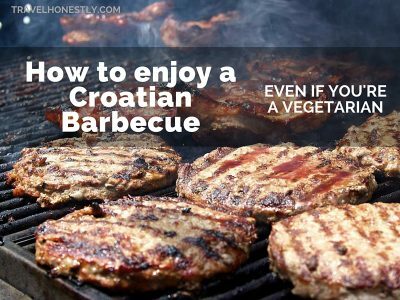 If you’ve always thought that Croats, and East Europeans in general, have no sense of humour – think again. These stories may be noir-ish but they’ll teach you what the locals find funny too. Farewell, Cowboy is the debut novel by Olja Savičević Ivančević, who had previously won the readers’ hearts with her short stories and poetry. It’s a tough yet poetic, dark yet funny story filled with local colour and sentiment. If you’re wondering what cowboys have to do with a small Croatian seaside town, the answer is simple and symbolic. A Western film that is being shot on the nearby ‘prairie’ drives the novel’s plot but it also questions our childhood ideas of heroism. This wonderful book about loss and redemption isn’t about the postcard-perfect Dalmatia. But you won’t regret picking it up on your next seaside holiday. Zagreb, Exit South is the only novel translated into English by the much acclaimed writer Edo Popović. It’s a perfect introduction into the Zagreb of the mid 1990s and the lives of common people struggling with socio-economic shifts after the fall of communism. You’ll be taken through Zagreb streets as the disillusioned writer Baba wanders around in search of the meaning of life, or simply a pint of good domestic beer. The novel deals with relationship break-ups and alcoholism, but Popović has a way of turning his prose into a vibrant and uplifting read. If you love reading Bukowski, this gem of a novel is a must-read. Hedgehog’s Home brings a smile to every child and adult’s face in Croatia. Most Croats still know how to recite a few lines by heart. Branko Čopić created a timeless tale about a determined little hedgehog that loves his humble home above all else. Wonderful illustrations by the Croatian artists Sanja Rešček will appeal to the imagination of the little ones. But the book’s message carries over into the adult world as well, especially with its gentle sentiments for home and our natural habitat. 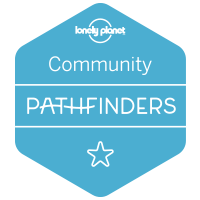 Eco-friendly travellers – this is your treat. On The Edge Of Reason is one of the classics by the Croatian literary giant Miroslav Krleža. This book will delight every literary buff, especially those who are partial to East and Central European writers, such as Dostoyevsky, Hasek and Kafka. The novel was written in 1938 so it may not provide you with the atmosphere of today’s Croatia. But Krleža was the keenest observer of the human nature, and his dry and witty sarcasm has gripped many generations of readers. As you walk past his statue in Tuškanac forest in Zagreb, you’ll be glad you took time and effort to delve into his rich and elaborate prose. The Culture Of Lies, published in 1998, is a time-tested collection of sharp and darkly humorous essays about post-socialist Croatia. Travellers eager to know how the region’s politics reflects in everyday life will enjoy Dubravka Ugrešić’s sarcastic but always witty writing. The essays range from academic topics, such as the conformity of intellectuals to satirical insights into soap operas and pop music. If you’re a fan of Kundera, don’t think twice about picking up this book. 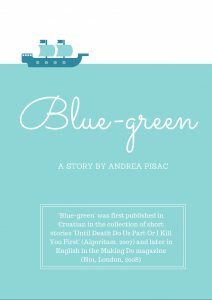 The outsider perspective of Ugrešić’s native Croatia – she lives in Amsterdam – is one of the things that has attracted a large audience of foreign readers. Cafe Europa is one of many collections of essays by Croatian writer and journalist Slavenka Drakulić. Most of her non-fiction work has been received in the West as a key insider account of the life in Eastern Europe during and after the fall of communism. The title speaks of that early post-socialist time when Eastern Europe yearned to acquire a more Western flair. And one way to do it was opening Vienna-style cafés. Many of her images of the 1990s Croatia will seem out of date. But Drakulić’s writing is beautifully crafted. And the book is worth the read if only to see how much Croatia has changed in the last 25 years. Zagreb: A Cultural History was written by Celia Hawkesworth, one of the most renowned literary translators of Croatian literature into English. Surprisingly, the book is not well known as a travel guide, though it offers the richest account of Zagreb’s cultural and historical life. From important rituals like coffee drinking and city walking to key artists that have shaped the city, this book is a treasure trove of little known facts that will truly make you bond with Zagreb. Pick it up before your trip to have a whole different experience of Zagreb’s amazing architecture, public parks and statues of famous artists. Chasing A Croatian Girl is a must-read for anyone married to a Croat or planning a longish trip to Croatia. American author Cody Brown has lived in Croatia for a while and this book earned him the title of the most famous Croatian son-in-law. 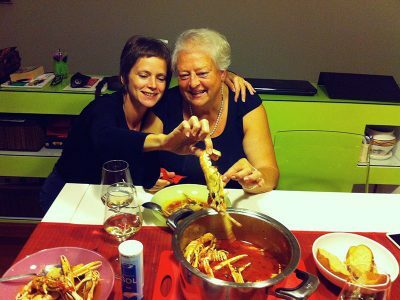 Not merely because he married a Croatian girl, but because he writes so warmly and insightfully about the importance of close-knit families, where the mother(-in-law) figure exudes most authority but also most love. His observations about coffee-drinking rituals or the fear of draft in Croatia are a perfect introduction into the country’s culture. What is your favourite Croatian read? Drop me a comment and help other travellers discover the local culture. I first visited ZG in December 1974. We arrived from Paris on the orient express. I remember visiting Nama on Ilica and it was almost empty of food goods. Would love to read something from that era. Hi David, what a great memory… Orient express and the mid 70s, sounds very cinematic 🙂 You should check Drakulic’s other book ‘How we survived communism and even laughed’ in which she writes more about shortages in those days. Hi David and Andrea – I am reading ‘How we survived communism..’ at the moment – found it by chance at a book shop here in the Czech Republic and I can highly recommend it! David, Nama didn’t sell food. But arround a corner, and at the main square, and 5min from the main square it was food to by. Dear Andrea, thank you for your very interesting list of books. May we recommend our book about Slavonia, one of the most beautiful, but unknown regions of Croatia? Photos are made by professional photographer Damir Rajle from Osijek, the text is in german, english and croatian language. Hi Thomas, thanks for your tip. 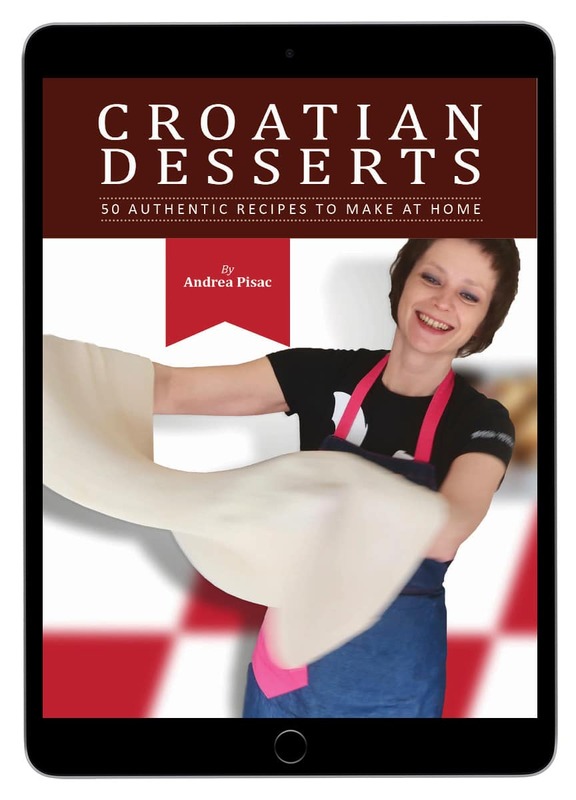 I am sure my readers will appreciate a book on a Croatian destination that is not as popular as the Adriatic coast. When I moved here a croatian friend recommended me Drakulić books. Best books I read for a long time. Hi Jesus, so you had good recommendations. Glad you liked the post and Drakulic’s books. I’ve read Chasing a Croatian Girl (after I visited Croatia) and loved the insights of an American trying to understand Croatia through his wife. I loved it! Yes, his perspective is really unique. And I love his humour too! I loved ‘Running Away to Home’ by Jennifer Wilson, a genealogy extended stay in her ancestors’ villages, eventually to realize cousins there, but it’s fun and funny and informative. Thanks for another great suggestion, Gabriella! Thanks for this! I have read many of these–I also love the writing of Josip Novakovic who has many short story and essay collections. One of my favorites. Thank, Jennifer. Yes, Novakovich is a good choice too. I am so glad to see many people are reading Croatian authors! Hi Andrea, thank you for a fantastic list, one thing or did I miss it, where can I buy these books, I am living in South London, many thanks.. Thanks, Martin. Good question about buying the books… I did spot Zagreb Noir at the Daunt Bookshop in Kensington, but others may be too obscure for a high street bookshop. They are available through Amazon.co.uk. If you click on the image of each book, you’ll be taken straight to Amazon and you can get them from there. I love reading tons about a place before I visit and while I’m there, and it helps me get more from the visit. I enjoyed Cafe Europa so much that I read several other essay collections by the same author. Zagreb: A Cultural History was also a wonderful read. Never heard of A Culture of Lies or of the noir series – detective stories are often a fun way to get a sense of place. Thanks for a great list! Interesting list, one that I’ll look into. I’m currently reading one “open the window to remove your darkness” which deals with a boy growing up in Istria before and after Italian rule. Interesting read and has lots of insights on how people lived (and the poverty in the region) at the time. Isn’t it great to learn about countries you visit through local fiction? I love doing that. Have a great read, Frank! Thanks for your suggestion, Harris! Hi andrea, thanks for your blog, is very helpful. although i couldn’t find your book blue green in the link as it is expired, would love to read it, let me know when can i find it. Thanks for your interest – I fixed the link and you can open it now. 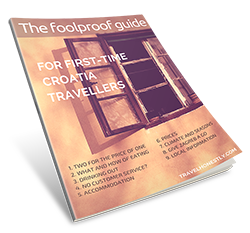 Lavishly designed, detailed and enthusiastic site – wish I had spotted it before my first visit to Croatia! Would love to hear if (1) you have any literary recommendations specific to Istria, now or in the past, beyond “Open the window to remove your darkness”, and (2) if there is/are any crime series to date set in (especially Adriatic) Croatia along the lines of Donna Leon’s Commissario Brunetti novels. Keep up the great effort and your high spirits! I’m visiting Croatia with my Canadian-Croat girlfriend in August. 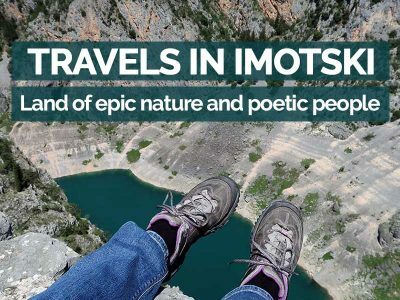 We will be staying at her Nona’s in Istria before road-tripping around the country. Thanks Rhys 🙂 I hope you have an amazing intro to the Croatian side of the family! We spent a month in Croatia and before we got there I got several of the books on your list. I love reading books set in the country I am visiting. One I really loved, that didn’t make your list was Girl at War. I wonder what a Croat’s perspective on this book is.